We met Elliot’s lovely home teacher — J — last week. 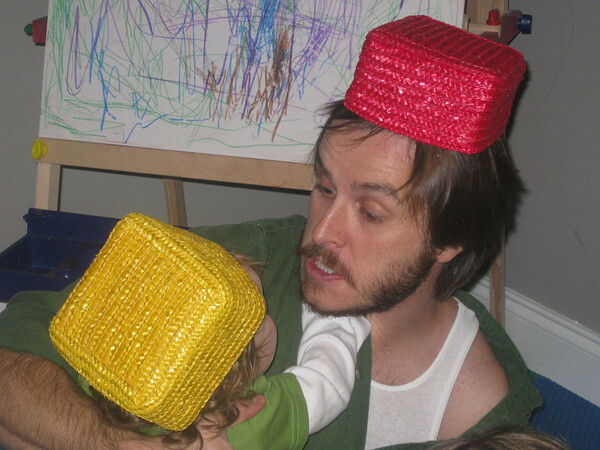 Elli did that thing, you know the one, where your kid makes you look silly and over-reactive. Not just me, right? 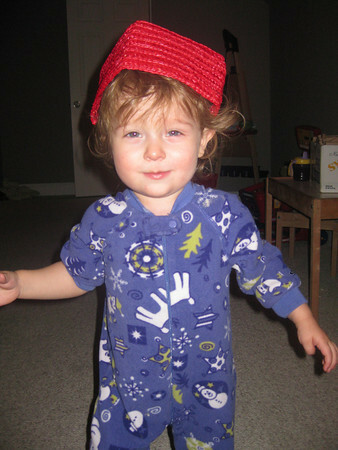 In fact, he ran around the room saying “Look!” and “Ball!” of course, but also “Hat! Woof woof! Uh oh! Ock! (sock) Uck! (stuck)” So, yeah, he suddenly says many more words than he did during his evaluation. That makes me happy. It also makes me look a little like a developmental Munchausen case. He will also point to eight different body parts (eight more than he did a month ago) and accurately identify various family members when asked. Also new. Best of all, when I say, “Where are your curls, Elliot?” he will run his fingers through his hair. Rationally, I know he’s doing this all late. And there’s probably something else he should be doing now that he’s not. I just don’t know what that is. I guess I could, I don’t know, do some research. On the internet and all. I seem to have time to update Foursquare, so surely I could do that. His first speech therapy is today. I plan to have him recite the Gettysburg Address and then do the full 7-minute version of Rappers’ Delight. Seriously though, internet research on your child’s developmental delays: That way madness lies. Who hasn’t started looking for help with a rattly cough and ended bidding tearful goodbyes to friends and family? I’ll dig through the hysterical fear-mongering if I have to, but I’m not there yet. I don’t know what to think about our little Elli. Other than I like him so much. I’m sure he will reveal himself to us in time. 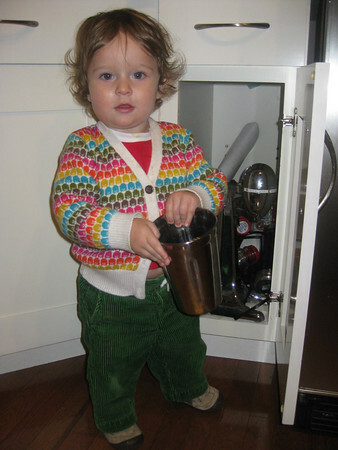 On the other hand, he understands how the milkshake maker works. I’m pretty sure the basket thing is hereditary, anyway. At some point I’m going to be pleased to say I told you so. I’ll gladly give you my login and PW to the UA library if you want to go down the rabbit hole of academic lit. As if that’s so much less biased/concern-raising than Google. But still, say the word and they’re yours.